Newcastle United have yet to re-open contract talks with Hatem Ben Arfa amid growing uncertainty over the France forward's future – along with that of fellow midfielder Jonas Gutierrez. Both Gutierrez and Ben Arfa have contracts that run until 2015, but after a failed summer attempt to start talks with the former Marseille man, the club have not returned to discuss an extension to the forward’s deal in the intervening months. Newcastle are understood to be keen to keep hold of one of their most creative players but his dip in form – along with talk of interest from Liverpool – creates an element of uncertainty around a player who has flattered to deceive so far this season. United are heading into 2014 preparing to take big decisions on a number of fixtures in the squad and Ben Arfa and Gutierrez are two players under the microscope as Newcastle look to recruit more domestic talent in the coming years. And The Journal can reveal that there is a clause in Gutierrez’s contract that stipulates an extension to his current deal will be triggered if he plays a set number of games. His absence from the United squad over the last three weeks is not understood to be related to that clause – indeed he has been granted leave to return to Argentina for personal reasons – but it does throw fresh light on Newcastle’s search for a left-sided midfielder, which has seen Norwich’s Anthony Pilkington linked with a move to Tyneside. Gutierrez and Ben Arfa are two of the longest serving players at St James’ Park, but Newcastle have signalled a desire to look at more English talent over the last few months and have acted ruthlessly in the past. Mike Ashley is also unlikely to countenance two of the club’s more high-profile players entering the final year of their contracts without any new deal signed. 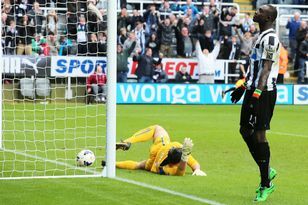 Newcastle cashed in on James Perch in the close season for similar reasons after Ashley baulked at the wage demands of a player who wanted to sign a new deal. The Magpies are intending to invest in January and are working on a longer term strategy that involves domestic talent, which Alan Pardew has championed. United have watched highly-rated Dele Alli of MK Dons and striker Callum Wilson of Coventry City over recent months – and have been keeping an eye on Derby County’s Will Hughes for the past few months. Pardew said on Sky Sports last month: “Joe has asked what I want, I’ve told him and it’s his job to get it out of Mike Ashley. Meanwhile, Mike Williamson has thrown his support behind Chris Hughton as the Norwich manager prepares to return to St James’ Park under considerable pressure. Hughton’s return could be a red letter day for the former Magpies boss, who has struggled to lift Norwich despite considerable close season investment. Newcastle fans spying a chance to move into the upper echelons of the Premier League are unlikely to show much in the way of sympathy for their former boss on Saturday, but they will feel a measure of regret if it ends up costing him his job. Williamson owes Hughton a lot after the former Newcastle boss gave him his Premier League break, something that he has made the most of in the three years since. Williamson looks set to retain his place in the centre of defence despite the possible return of Fabricio Coloccini, who was sat on the bench at Spurs. He said: “He had a massive influence on me and he’s such a great person, a great manager. He has all the attributes to get Norwich up the league and progress.